Prodota Gaming will be playing the Boston Major Open Qualifiers in the Americas brackets, sources from within the team have told DotaBlast. The team has reached out to both Valve and FACEIT, before making the decision. According to Prodota Gaming, neither Valve nor FACEIT has objected to the change of region. “There’s a clear imbalance between the Europe and CIS region and the Americas one. We have too many teams in one region and not enough to fill the other. Yet, they get the same number of spots every time. We have decided to take our chances in the Americas open qualifiers. ‘Open’ means ‘open’ and nowhere is it clearly specified that changing regions is against the rules. There should be equal chances for everyone. We think the system is flawed and needs to be changed,” Prodota Gaming told DotaBlast. Prodota Gaming is not the only team to change regions for the Boston Major Open Qualifiers. Southeast Asian team White Fries Gaming has registered for the Chinese region. The first round of the Americas Open Qualifiers kicks off shortly, at 15:00 CDT, with over 200 registered teams. The organization has recently branched off of their original CIS project and switched gears into being a European extension. Since transitioning into a full European team, Prodota have been climbing their way back to success. 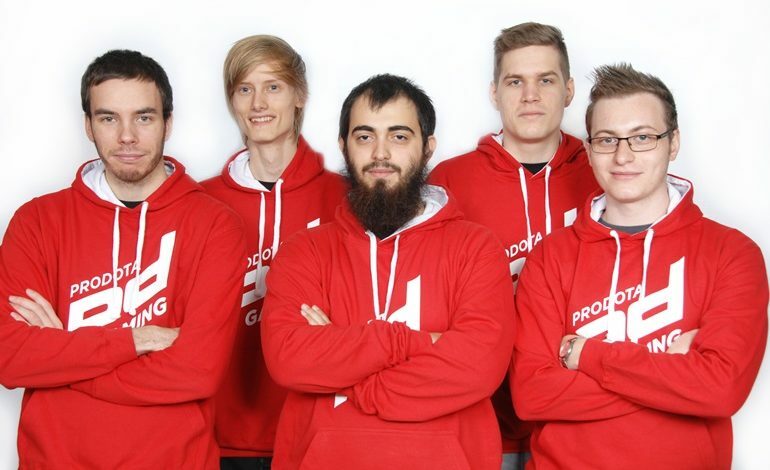 At the end of June, just in time for The International 6 Open Qualifiers, Prodota Gaming underwent a full overhaul of their roster to be centered around carry player Ylli “Garter” Ramadani. They recruited Linus “Kefka” Bleckert and Malthe “Biver” Winther, at the end of July. Two weeks later, Alexandru “ComeWithMe” Crăciunescu and Jure “Pingvincek” Plešej stepped in for the squad. After much uncertainty surrounding the Fall Major season, the Prodota roster was secured and locked. When Armand “bOne7” Pittner missed the drop deadline by mere hours, ComeWithMe became mistakenly locked into Kaipi, instead of Prodota Gaming. Valve took action and settled team registration issues. In the last two months, the team has had solid performances, winning two championship titles (PD Cup EU #9 and #10), placing second in joinDOTA League Season 10, Elements Cup #2 and Dota 2 Offense, and third in WellPLay Invitational #4 and Dota 2 Champions League Season 8.